you are bound to find the mat for you! A doormat project? A specific request? We always have a solution for you! Join our network via our dealer's area. Benefit from special prices and terms only available for our members. Register for our newsletter to be informed about new products and receive our best exclusive offers. Mats by the roll are a must for long passageways. Made-to-measure mats, solutions for all types of layout. 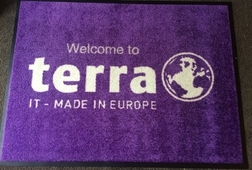 Entrance matting systems, the specialist in high quality doormats, offers a selection of models for all purposes. Professionals and private individuals benefit from a large range of solutions in order to help them to find the doormat that corresponds perfectly to their project. Dimensions, materials and colours available in more than 2,000 references. 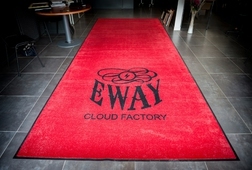 Entrance matting systems is the solution to your needs and wishes for fitting out your entrance hall with taste.